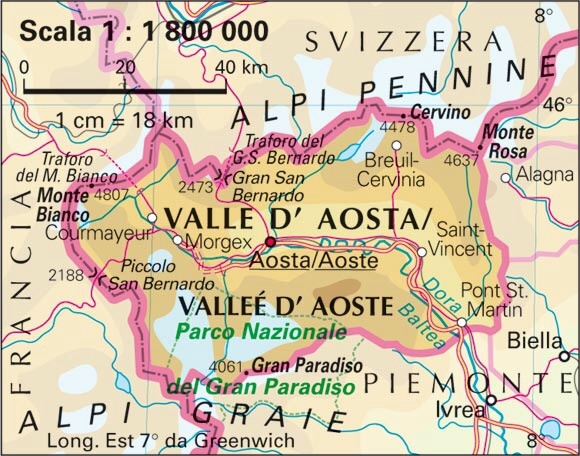 Valle d’Aosta was one of my very first loves in Italy. I first came here when I was 21 years old and had never really seen mountains before. What a place to first see them. I have a very good friend who is a ski teacher in La Thuile (a great little resort which allows you to cross the border to France on skis). 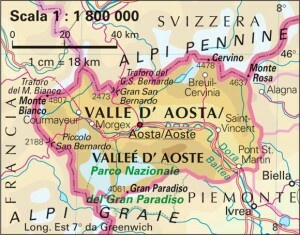 The pass, a mountain road in the summer is now thought to be the possible site of the famous Alps crossing by Hanibal of elephant fame. Obviously for me this little historical ‘addendum’ just adds to its attraction. 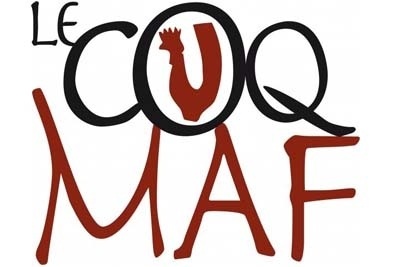 Le Coq Maf Via M.Collomb. There can be no better recommendation than to go where the locals go. Ale and Maurizio own and run this bar-restaurant and they do so expertly. Like Cheers, it’s one of those places where ‘everybody knows your name’, but at the same time are happy to see tourists and passers by. The meat speciality is Zigonia – I won’t reveal too much as it would spoil the surprise, just ask for it and be impressed. The bar is great for morning coffee, afternoon spritz or evening dinner. No website, but a facebook page. In high season call to book +39 3483866298. 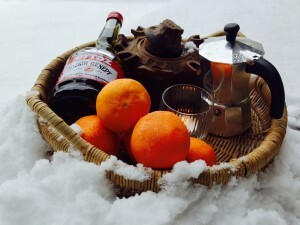 Bar La Buvet – Right by the departure of the ski lift. This is my favourite place for an apres ski in La Thuile. Davide runs a very nice place indeed. 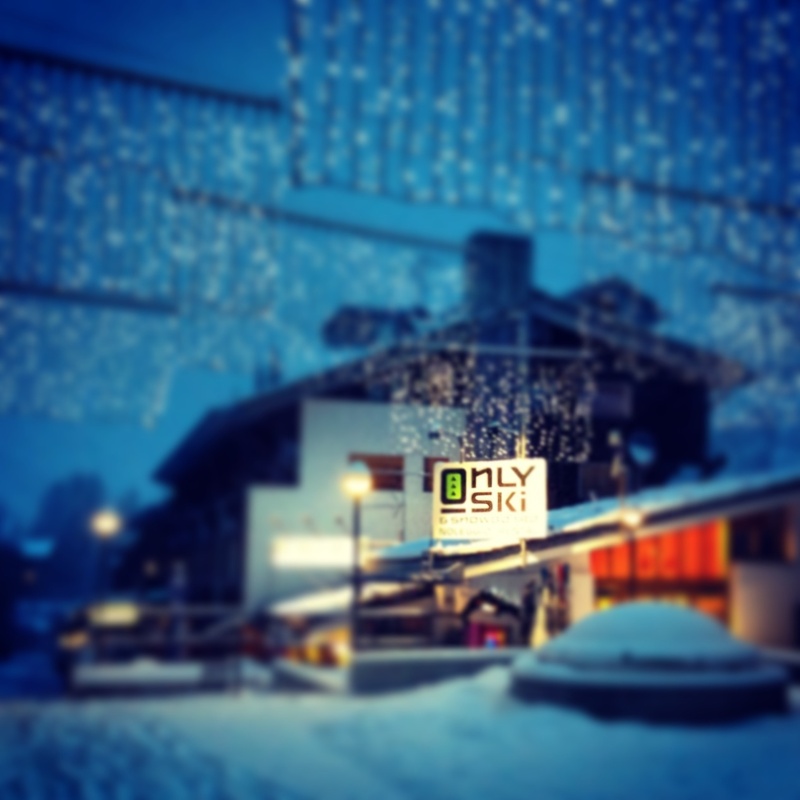 This is where you’ll find the ski instructors after work, the piste basher drivers when they come off their shift and tourist who recognise a good place when they see one. Friendly staff and always a joy to see the smile of Stefania. No website, but very simple to find. Only Ski – Ski and Snowboard hire, Complesso Planibel. Very close to the lifts, this is my favourite place from which to hire skis and boots whenever I am in La Thuile. Christina and the other staff are super friendly and extremely knowledgable when it comes to your ski or boarding needs. It’s nice to go to a ski hire shop where they actually take the time to listen. 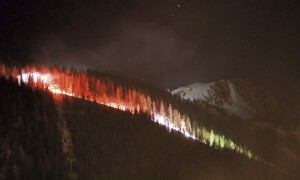 Here’s a little tip; try asking for ‘red skis’. 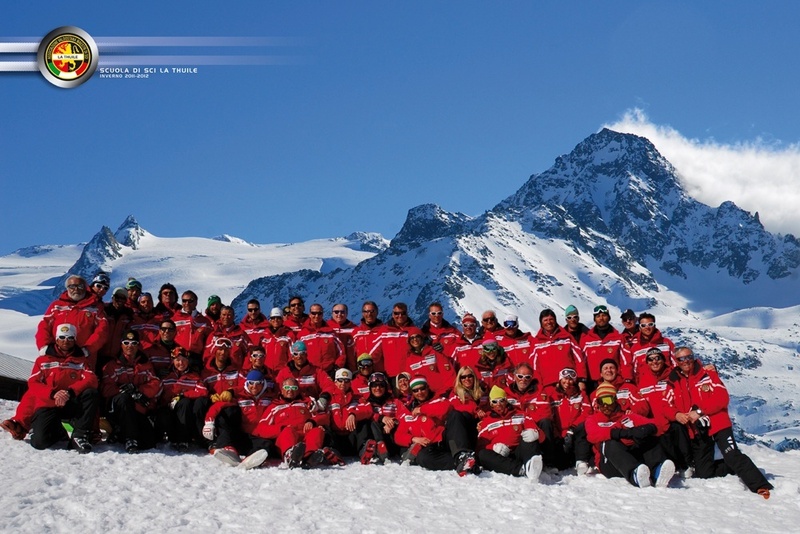 You’ll find the ONLY Ski La Thuile website by clicking on the name. La Thuile Ski School – Surely everyone should experience the thrill of racing down slopes of perfectly groomed snow at one point in their life? The best and fastest way to do so is to take a few lessons. La Thuile is a great place to learn with ample pistes, the difficulties of which vary from beginner to expert. There is a great ski school with some excellent ‘Maestri’. There are 73 at the time of writing, I’d recommend directly asking for Carlo Ceffa for anything on skis, and just request ‘Vastarini’ for snowboards. Check their website here. 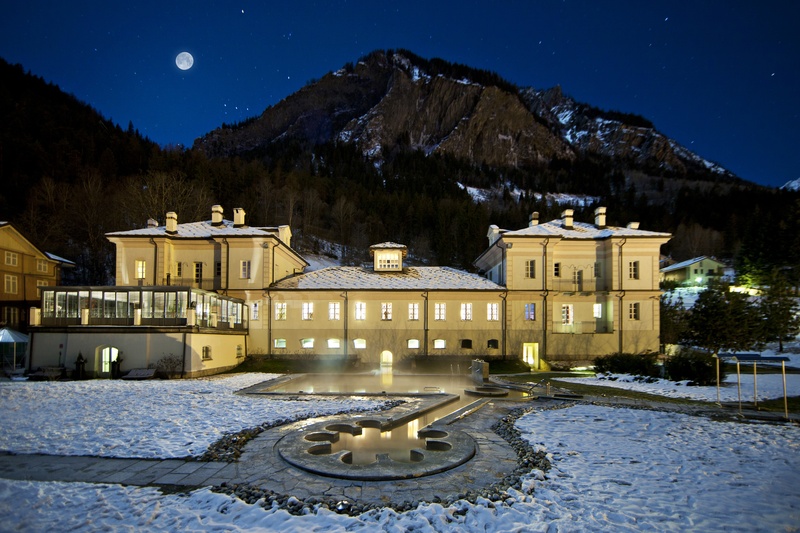 Terme Di Pre Saint Didier – This is probably my favourite spa anywhere in the world; and I have been to a few. The view outside on a snowy night could not be more beautiful; Mont Blanc by moonlight. The only issue now is that being just so incredibly wonderful a place, it can get crowded. Try to go on a quiet day and you’ll never want to leave. See their website here. Cheval d’Aoste – Horse riding tours. Now horses and I have issues. Three times on, three accidents. BUT not one was with these guys. Cheval is a great company and exploring La Thuile and the surroundings on horseback is simply wonderful. I have been lucky enough to meet the President, Chantal and have a ski lesson with her. In the summer she teaches riding as well as organises tours on horseback throughout the area, single days as well as potentially overnight forays into France. I am returning to La Thuile this summer to try finally to overcome my horse issues and I can’t think of a better school with which to learn. Have fun. There website is here. 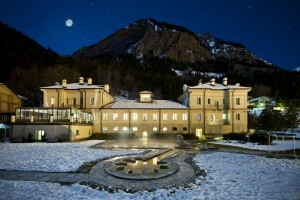 Forte di Bard Mountain Museum. This museum is surely in one of the most spectacular locations one can imagine. 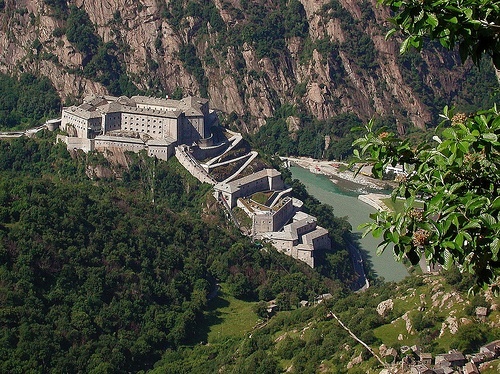 In an old fort that used to guard effectively the entrance to the valley, it tells the fascinating history not just of Valle d’Aosta, but of mountain folk throughout the European Alps in general. The views are amazing and the place often hosts lots of temporary exhibitions. Website here.